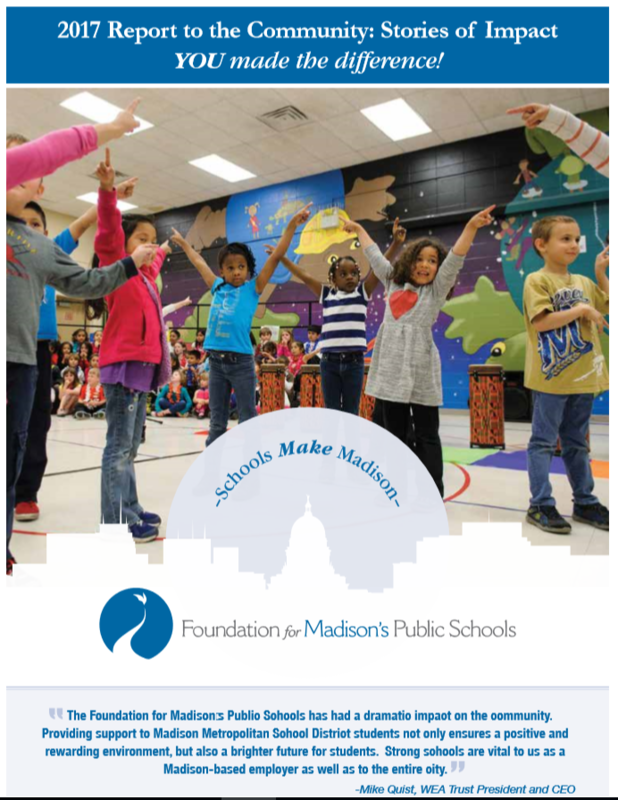 The Foundation is committed to supporting the education of every child by raising private funds, awarding grants, developing community partnerships, and advocating for Madison’s public schools. Supported by the Foundation, Madison will have excellent, well-funded public schools in which learning is celebrated and all students graduate ready for college, career, and community involvement. Every child deserves a high quality and equitable education. The future depends upon today’s investment in the educational experience of tomorrow’s leaders. High quality public education is fundamental to a vibrant community and a strong local economy. Access to public education is essential for a thriving democracy. The Foundation plays a vital role in connecting public schools and community resources. Fund promising, innovative educational programs and activities outside the core school budget. Build and sustain partnerships that mobilize business and community resources. Invest community resources to expand opportunities for all Madison public school students. Promote the value of Madison public schools throughout the community. Manage the Foundation with integrity and transparency. Established in 2001 by a group of community leaders and former educators, the Foundation believes that every child deserves the best education. Since then, we have given over $10 million back to Madison public schools for creative and innovative projects which could not otherwise be funded through the core school budget. Since our founding, we have also created and implemented several community partnership programs including Adopt-a-School and A Principal Experience, which both help strengthen the relationship between the schools and the Madison community. 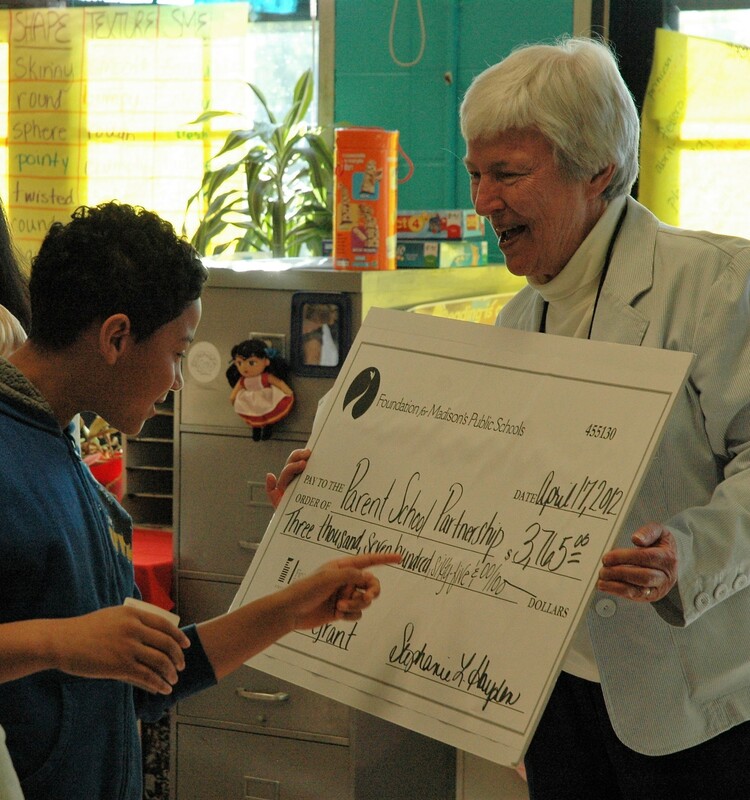 The Foundation holds over 160 funds, including an endowment for all 50 Madison public schools. We are the first district in the country to achieve that comprehensive support across 100% of schools in the district!